I have started to develop some numbness in my hands. It didn't start until my A1C was down to 5.3 from 8.4. Is it possible to have diabetic neuropathys with normal blood sugar levels? It might be ... From what I understand a sudden change in BG control can cause the body to temporarily suffer those symptoms but having said that, be cognizant of what other things you are doing. It could potentially have nothing to do with your diabetes and could be more symptomatic of immobility (like sitting at a computer mousing and typing for a long time, or if you're like me chopping wood all day). Same for me. When my readings change quickly (even if to a better level) I can get symptoms as if they were high. I think large changes trigger them, regardless of which direction. Steve, it could be carpal or cubital tunnel. Diabetics are 15x more likely to get these conditions than non-diabetics. Yes, the computer use makes it more likely to happen. kyteflyer and Squawkx like this. I had numbness, but it turned out that I had damaged the ulnar nerve in a fall that nobody considered serious. My regular doctor thought it was carpal tunnel, but the neurologist said it was numb in the wrong places for it to be carpal tunnel. I had a few tests to determine what caused it and it eventually went away. I've got mild carpal tunnel from years of being a baker and then going into office work. Repetitive motions on a daily basis can feel like neuropathy sometimes. I had a nerve specialist test my hands a few years ago to see if it was the diabetes or if it was carpal tunnel. He told me I had mild carpal tunnel, which is manageable, with slight adjustments. I would suggest talking to a nerve specialist and getting a carpal tunnel test. This way you can be sure of what it is that is affecting your hands. If it is carpal tunnel, then you should be able to wear some special "gloves" for carpal tunnel. I got some at the dollar store and wore them at night, going to bed. I did that for a year, and it helped a great deal. It's been about 3 years now, and I haven't had to wear the gloves again. The gloves I wore I found at the dollar store, so I didn't have to go through insurance or buy some pricey medical gloves. 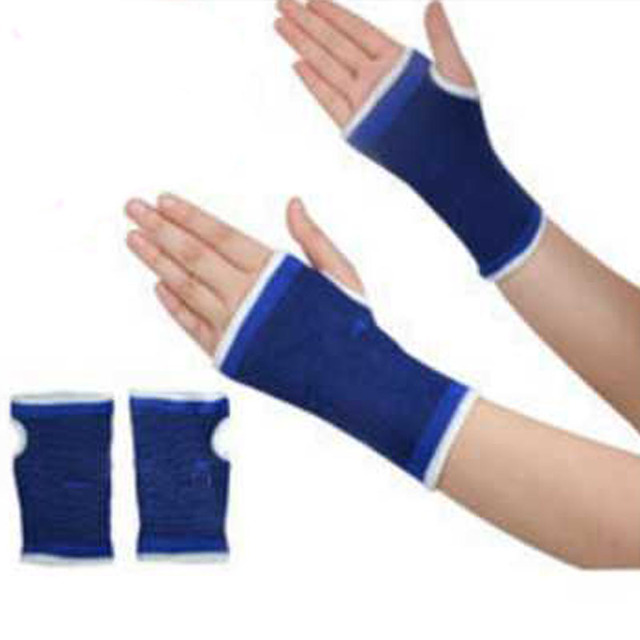 These are soft elastic and are tight on your hands, but not so tight they cut off circulation. Once you get used to the initial feel of them on your hands, they actually feel really nice. You can also use them during the day doing chores, or when on the computer. I have carpal tunnel and tendonitis on both hands. Sometimes, my hands would be numb when I would first wake up. Come to think of it, that hasn't happened in a long time. I do have tingling. I've had neuropathy for about 10 years now. I don't think it necessarily is due to A1c although hi levels make things worse. When mine started and now my A1c is below 7.5. I have expierenced numbness in my hands and feet in the past. Something that has really helped me alot are getting massages. They have help me get through this struggle and have helped me regain the feelings in my hands and feet. Going regularly helps however it does cost a little money. However in my opinion, its worth it! Last edited by itissteve; 12-06-2018 at 12:54.